Tripadvisor launches an application for iPhone and Android. 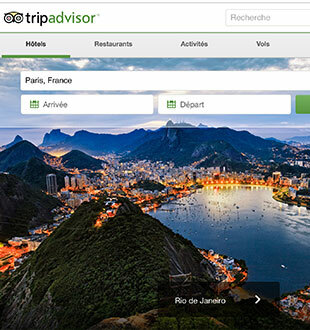 Tripadvisor – the largest travel site in the world – has launched a free application for iPhone and Android users. Users will now have access to a new hotel price comparison engine and the use of a dynamic map that references accommodation, attractions and restaurants in real time. For tablet users, a specific application for the iPad integrates dynamic maps, the use of metasearch and a pleasant touch-screen interface with trip planning features including high resolution photos, the ability to see all the attractions that surround a particular search, and new pages about different cities to best advise on trips.